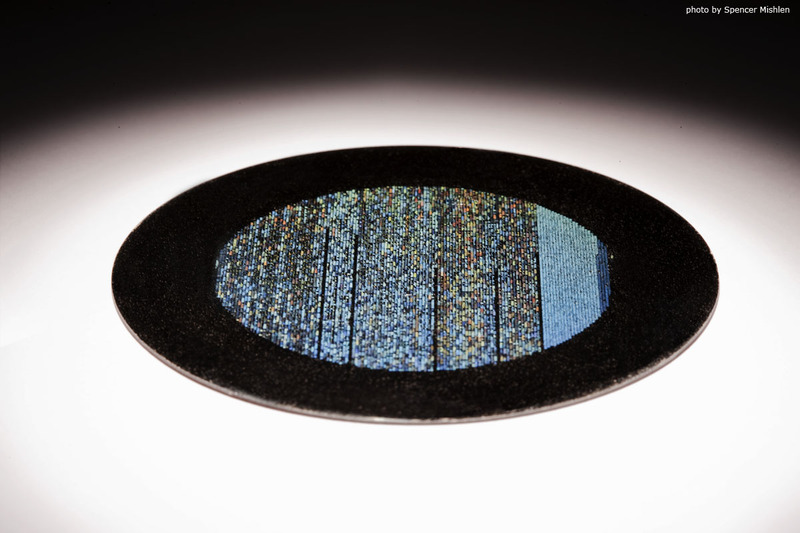 In 02008, one of the first prototype Rosetta Disks went to the family of the late Charles Butcher, who was the founder of The Lazy 8 Foundation. Lazy Eight was one of the first supporters of the Long Now 10,000 Year Library and Rosetta Projects. This Rosetta Disk has now been donated by the Charles Butcher family to the University of Colorado Boulder. It looks like it is housed in the Library Special Collections, and that it is currently on exhibit as part of Realia: Everyday Objects from Other Lives. If anyone has a chance to go visit the Rosetta Disk in this exhibit, please send us photos!